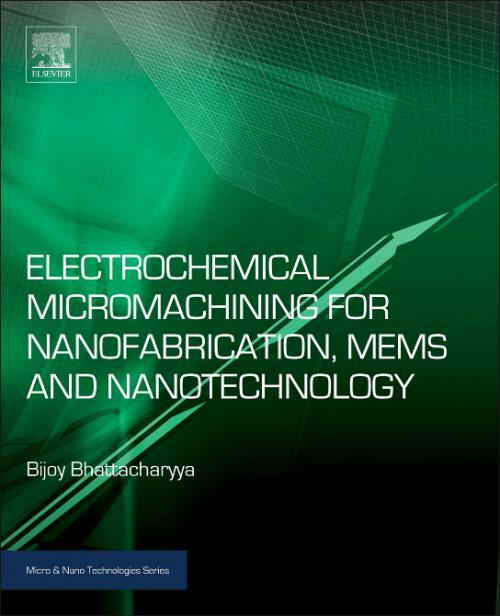 Electrochemical Micromachining for Nanofabrication, MEMS and Nanotechnology is the first book solely dedicated to electrochemical micromachining (EMM). It begins with fundamentals, techniques, processes, and conditions, continuing with in-depth discussions of mechanisms of material removal, including an empirical model on the material removal rate for EMM (supported by experimental validation). The book moves next to construction-related features of EMM setup suitable for industrial micromachining applications, varying types of EMM, and the latest developments in the improvement of EMM setup. Further, it covers power supply, roll of electrolyte, and other major factors influencing EMM processes, and reports research findings concerning the improvement of machining accuracy and efficiency. Finally, the book devotes a chapter to the design and development of micro-tools, one of the most vital components in EMM. Field of Specialization: Non-Traditional Machining Processes, Micro Machining. Advanced Manufacturing Technology (AMT), Production Management. Achieved several Certificates of Merit and Certificates of Achievement Institution Award & Gold Medal by The Institution of Engineers (India) for a research paper Keynote speaker, chair person, presenter and organizer/coordinator of several international conferences. Visited several countries such as England, Dublin, Taiwan, Hongkong, Thailand etc. for research and academic purposes. Supervised several Ph.D thesis and filed several patents in his credit.